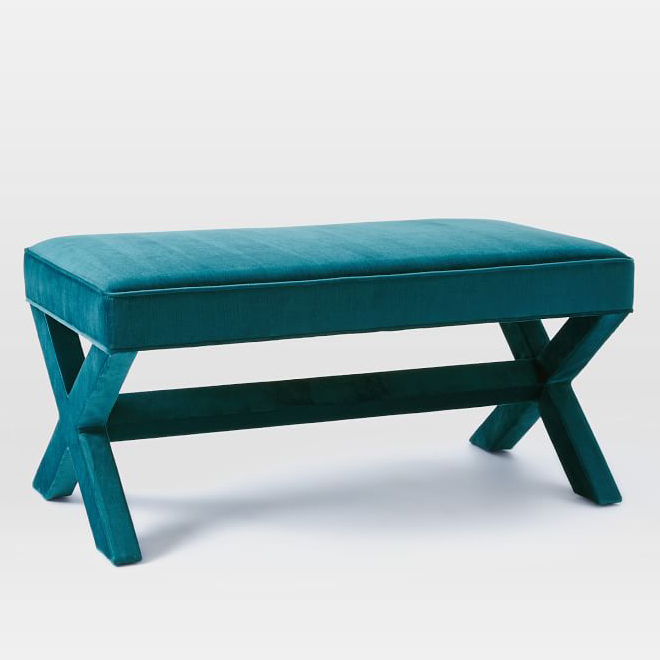 This Cross Base Upholstered Bench recalls the retro glamour of Hollywood’s golden age with its padded seat, welted seams and x-shaped base. Use it for extra seating in a study or at the foot of the bed. $349. Buy here.